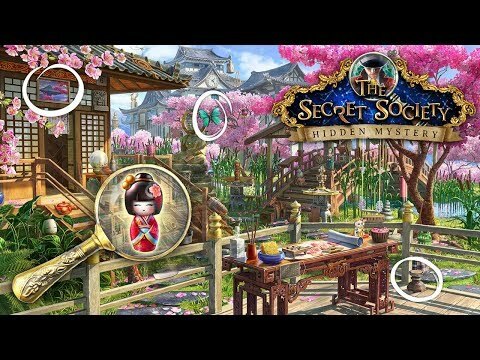 Join the mysterious Secret Society and explore numerous enchanting worlds! The Secret Society® is a clandestine community of people with the unique ability to move through magic worlds. Your dear Uncle Richard, an elite member of this ancient order, has suddenly gone missing. After a period of despair, you realize that you too are blessed with these special powers and thus are the only one that can find him! Locate your beloved uncle, protect the sacred Artifact of the Order and thwart the forces threatening the entire society in this fantastic blend of hidden object tasks and puzzles! The Secret Society® - Hidden Mystery © 2012 - 2019 G5 Holdings Limited. Published by G5 Entertainment AB. The Secret Society® - Hidden Mystery, G5 Games and G5 Entertainment are registered trademarks of G5 Entertainment AB. Apple, the Apple logo, and iPod are trademarks of Apple Inc., registered in the U.S. and other countries. iPhone and iPad are trademarks of Apple Inc.